Razer's gaming laptop is famous for its peripherals, and now, Razer has introduced a new world's thinnest gaming laptop called Razer Blade. Have a look at it, first impression of the 14-inch Razer blade that's smaller, thinner and lighter enough to be your everyday machine. 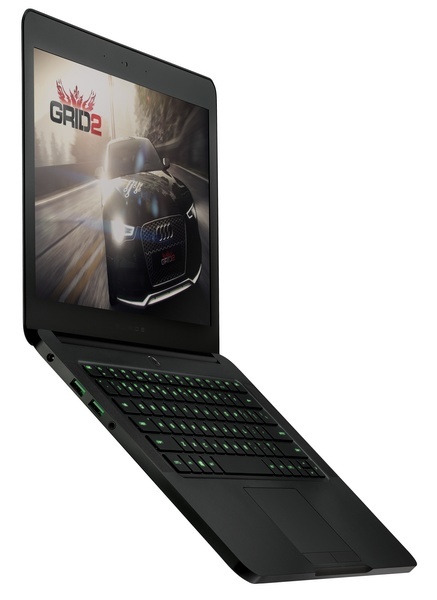 The new Razer Blade (2013) is just another in a steady stream of gaming PC's with small display and extra battery backup of 6.24 hrs. Razer Blade is powered by Intel's Core 4th generation 2.2 GHz with Turbo Boost up to 3.2 GHz i7-7402HQ Haswell processor. In additional hardware specifications include NVIDIA GeForce GTX765M graphic card with 2 GB of video RAM and 8 GB of DDR3 memory. Razer Blade is also outfitted with 128 GB mSATA Solid-State Drive with option for 256 GB or 512 GB SSD. 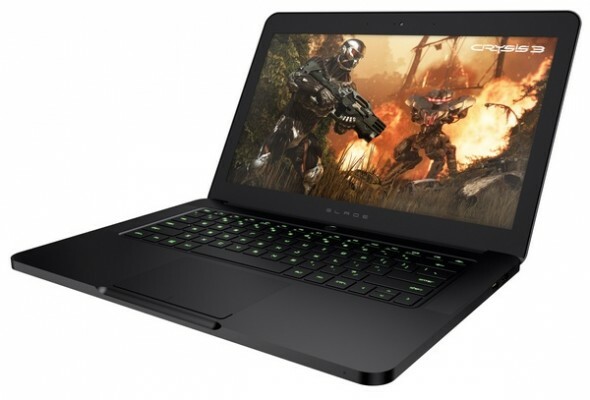 Although, Razer also offers the Blade Pro, a 17-inch version laptop featuring Switchblade interface and a slightly faster than Blade version with 2.4 GHz Intel Core processor. This Laptop comes with 14-inch LED-backlit display that uses 1600 x 900 pixels resolution, and according to connectivity, you can connect laptop to larger screen with HDMI 1.4a port. Qualcomm's Killer N1202 network card is also present, so you can enjoy in Wi-Fi 802.11 b/g/n, three USB 3.0 ports, bluetooth v4.0 and last it includes 1.3 Megapixel Full HD webcam. There is no optical drive, no muti-card reader and no ethernet port. 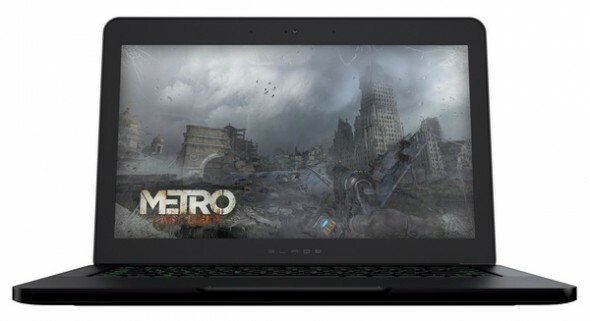 Razer Blade is a great gaming laptop, and according to price, starting price of this laptop is $1799 respectively.